Have you ever read a book that you loved so much that you can't articulate why you love it when asked? 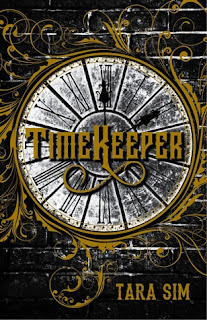 Tara Sim's debut book, Timekeeper, was one of those books for me. I adore it so much! But I haven't been able to write a review for it since I first read it in November of last year no matter how hard I've tried. I've even reread it via the audiobook and I still can't coherently explain my love for it. But I can give you five reasons why you should pick it up. I adored this world ruled by clocks and clock towers! I found the mythology that hinted at the origin of the clock towers fascinating! The story of the old gods was perfectly intertwined with the "present day" narrative of the characters. Not all of my questions were answered in this book and I need the next ones in my hands. I can't wait to learn more about the towers and the clock spirits. I'm not going to say much about the romance between Danny and Colton other than it was absolutely adorable! I was totally shipping them by their third meeting with each other. I would recommend this book for the romance alone. The characters in this book have not had easy times and some of them have been through multiple traumas. "I was in an accident. I got out. I'm safe now." From the first time Danny said his mantra to keep himself from breaking down, I actually gasped. I knew this was something important because I *knew* what was happening here. I knew what had to have happened to him. Sometimes you don't get out. Sometimes you do and that's only the beginning. It's going to be hard. Even years later, you might not feel safe. Sometimes trauma means you live with the scars. Sometimes you deal with them in ways that damage yourself or others. But reading books like this, that show such trauma and healing (even slow, disjointed, and derailed) with rawness and honesty... it helps. Danny, his mother, Matthias, and his best friend, Cassie, have all been through horrible things and they all responded in different and exceedingly realistic ways. People respond to trauma differently and all of those responses are valid. It was so nice to see these topics handled so well. One of my favorite things about this book was Danny and Cassie's friendship. Their friendship was everything! They cared for each other and you can tell that they will have each other's backs no matter what. I loved their interactions so much! It was also refreshing to see a friendship between a guy and a girl that was free from romantic pining. I seriously want to see more of these kinds of friendships in YA. Danny's family isn't perfect. In fact, they are about as far from from perfect as you can get. They're drowning in grief and stressed out about finances and that colors their interactions. But I loved that so much of this book was focused on Danny's interactions with his mom, his worry about his dad, and the comfort he drew from his godfather. There was also themes of found family throughout the book and it was glorious. I love this recent trend in YA where the main character's family is actually present and accounted for in their life even if they don't know how to interact with each other like Danny and his mother. This book blew my mind! It was a breath of fresh air in the world of YA books and I can't help but sing its praises. I loved this world of clock mechanics and clock spirits and I ship the romance so hard! Also, the audiobook narrator was absolutely fantastic if audiobooks are your thing. 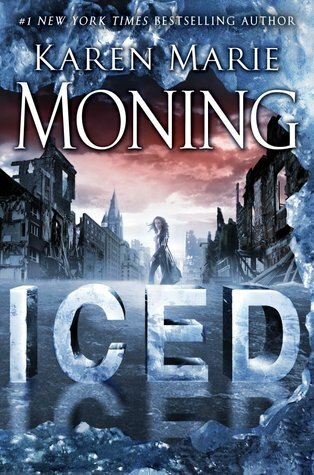 I seriously can't wait to get my hands on the rest of the books in this series. Tara Sim has earned herself a permanent spot on my autobuy list.